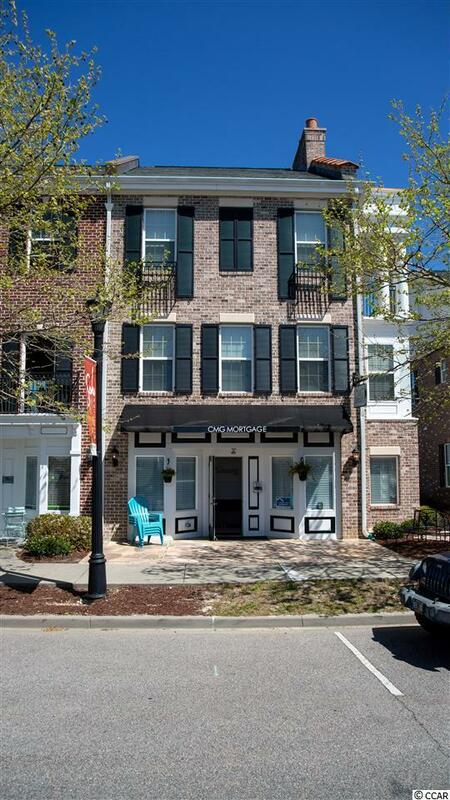 This is an excellent opportunity to own a 'Live/Work' townhome in the bustling Market Common. This could be a wonderful primary residence, secondary home, or investment. 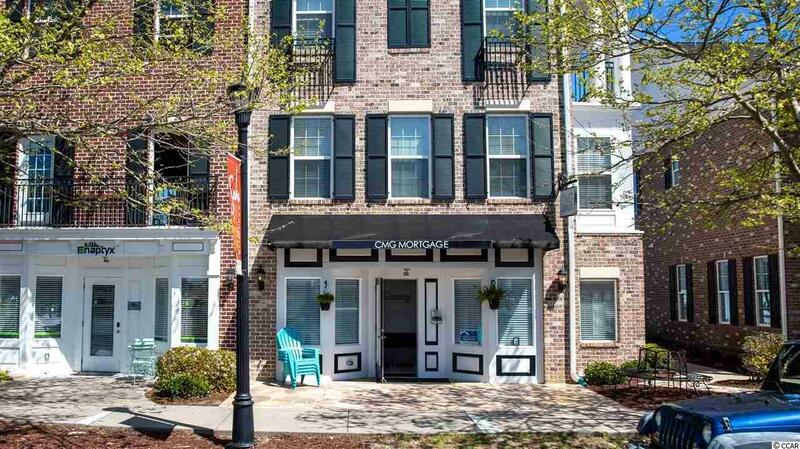 This end unit, mixed use townhome, has a commercial space on the first level and is residential above it with 2 bedrooms and 2.5 baths. The two separate owners' suites both have tiled showers and one has a corner, covered balcony. The kitchen area is spacious with plenty of counter space, cabinets, granite countertops, stainless steel appliances, and a pantry. Hardwood floors are throughout this floor. 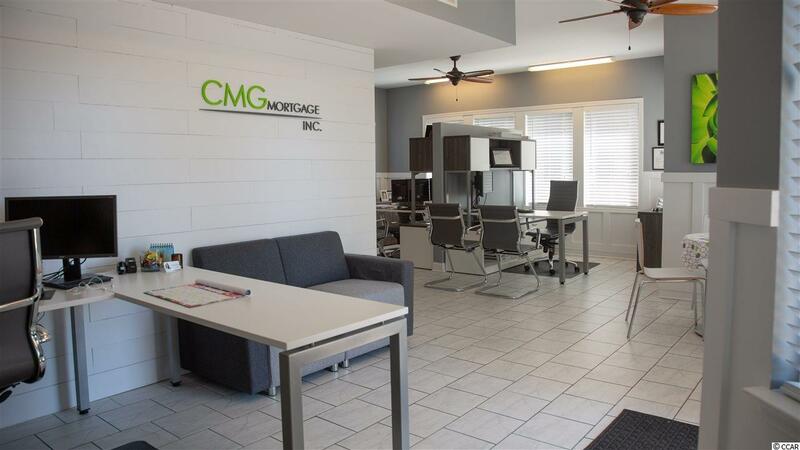 Outside, the completely fenced, concrete patio is ideal for outside living on the other side of Howard Ave. Downstairs, is the commercial level which is currently CMG Financial. With the public business access from Howard Avenue, the residential side enters from the back and is separated and locked from the commercial side's back entrance. The Market Common is a desirable community with numerous retail shops, boutiques, several restaurants, a gym, recreation, a movie theater, a bowling alley, a community garden, option for the community pool, and much more. 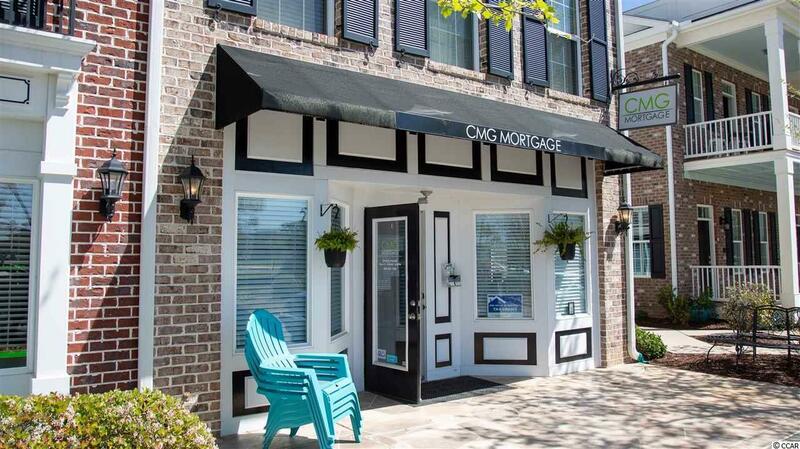 This dog friendly community has many options of transportation... walking, running, biking, and cruising on a golf cart are all options because it is centrally located and the location of this live/work is in the heart of it all. A mile from the beach and 3 miles from the Myrtle Beach International Airport.